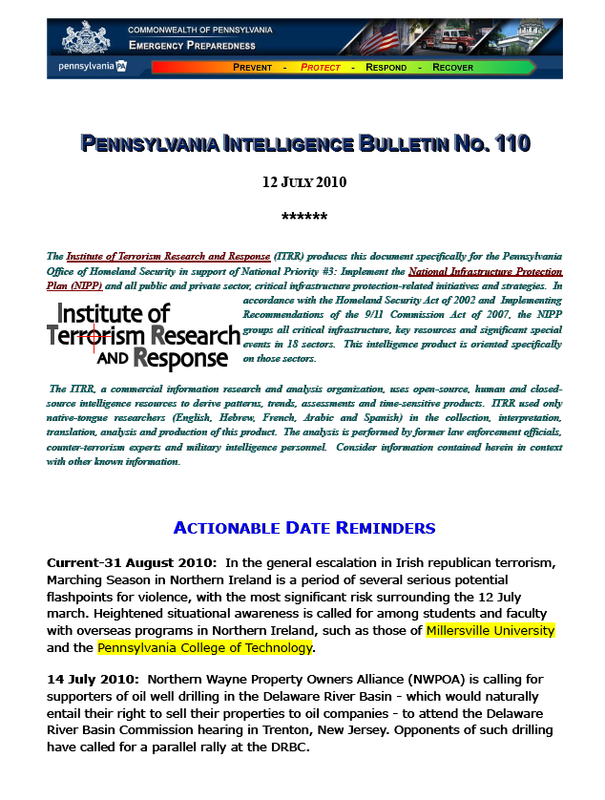 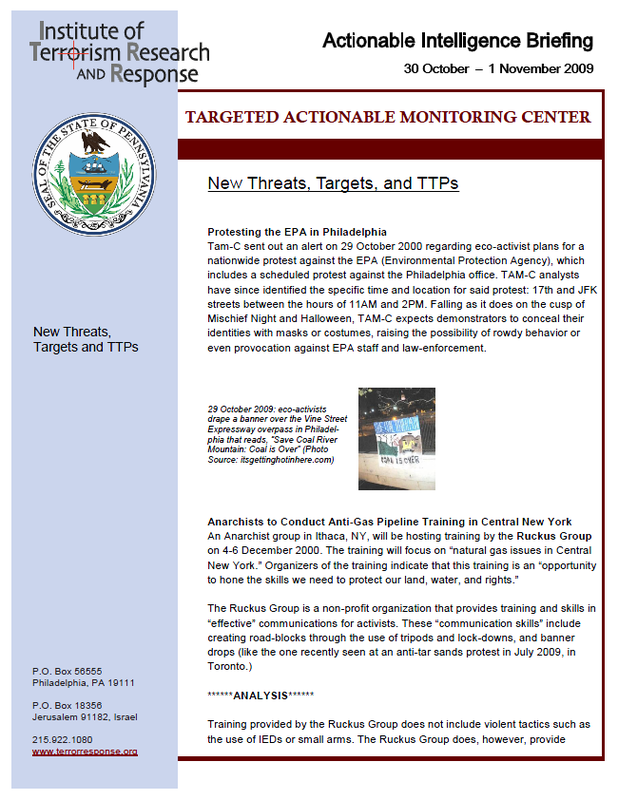 The following file contains 137 bulletins that were produced by the Institute of Terrorism Research and Response, an American-Israeli company, under contract to the Pennsylvania Office of Homeland Security from October 2009-September 2010. 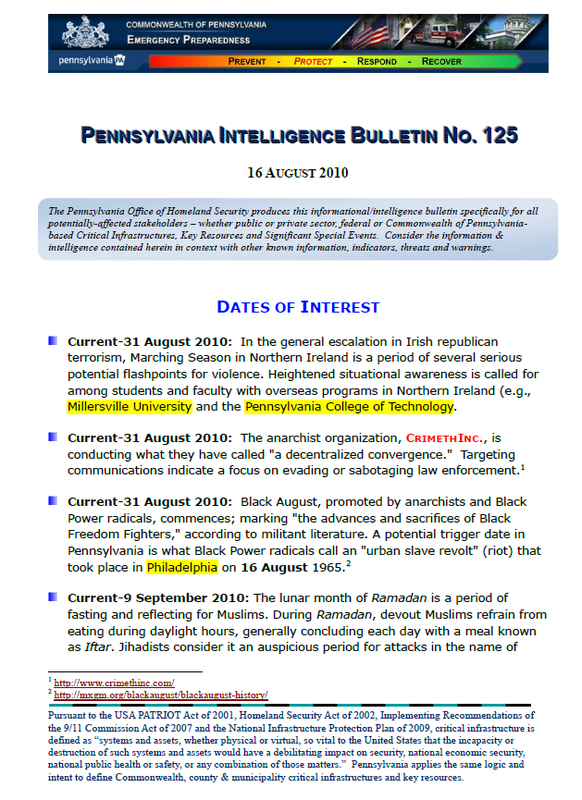 This is believed to represent the complete collection of reports produced by the company for the State of Pennsylvania. 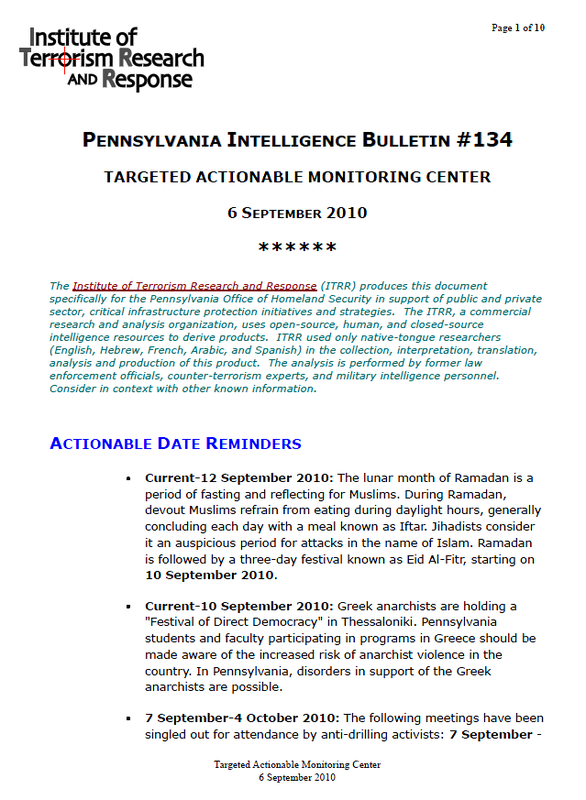 Please post interesting material found in the documents in the comments section below and include the bulletin number.